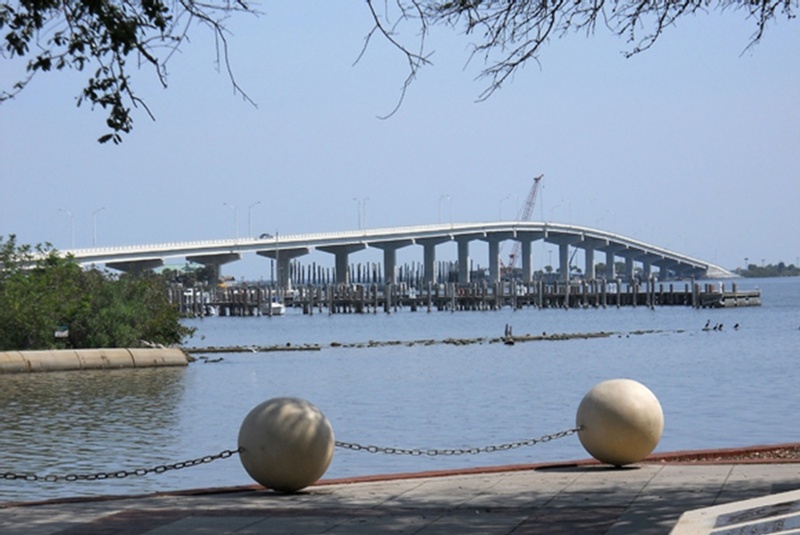 The A. Max Brewer Bridge Design-Build project connects the City of Titusville to Merritt Island providing access to the Kennedy Space Center via SR406. 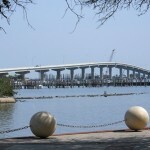 The aging and structurally deficient bridge needed to be replaced. The original swing bridge regularly delayed commuters heading to work and tourists heading to nearby attractions. 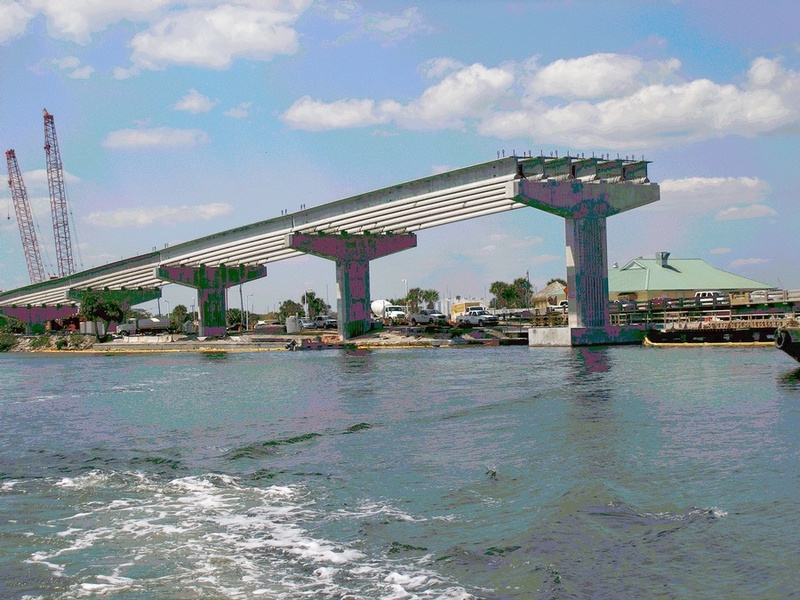 The bridge also stretched across a protected environmental area that oversees manatee winter migration paths and sea grass. 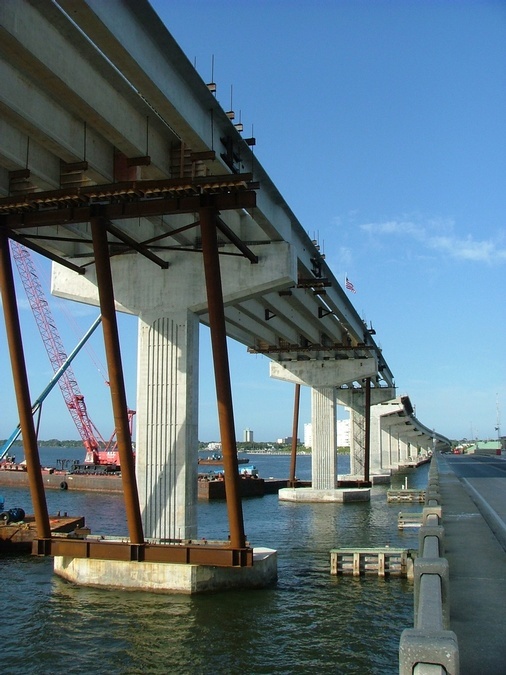 This project involved construction of a new 3,207 foot high level bridge over the Indian River. 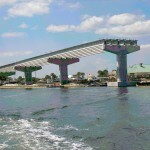 At its highest point, there is a vertical clearance of 65 ft. in the navigation channel. 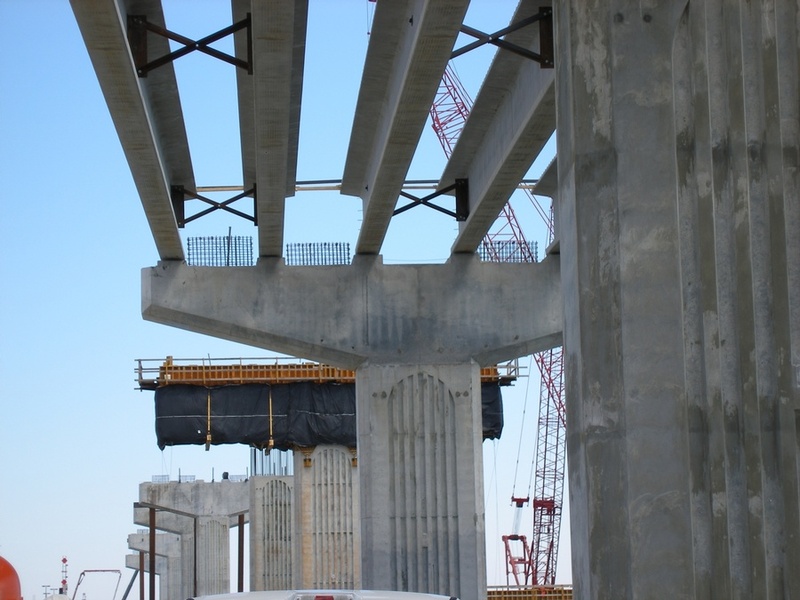 The new bridge is comprised of a total of 22 spans including a three-span spliced, continuous modified Florida bulb-tee beam superstructure over the navigation channel. 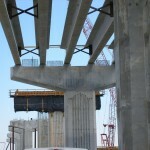 The three-span channel unit is comprised of spans with lengths of 170’-221’-170’, respectively. 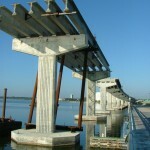 The approach spans are simply supported; they each have a length of 147’, comprised of 78 inch Florida bulb-tee beams. 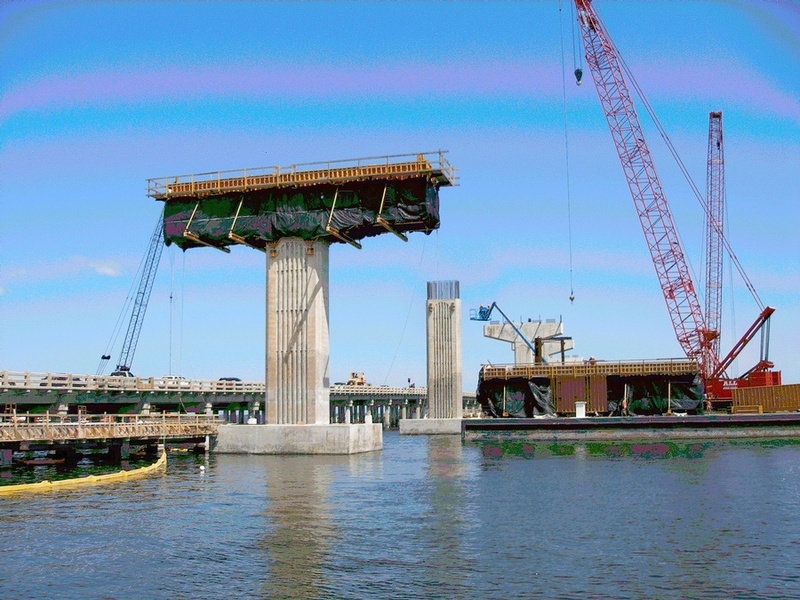 Foundations for the bridge consist of single column, hammer-head style piers supported by precast concrete pilings ranging in size from 24 inch squares to 36 inch squares. 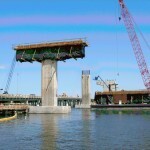 Foundations in the waterway were designed to resist vessel impact forces in accordance with LRFD requirements. FINLEY designed the Temporary Works and participated in the Peer Review for this project. 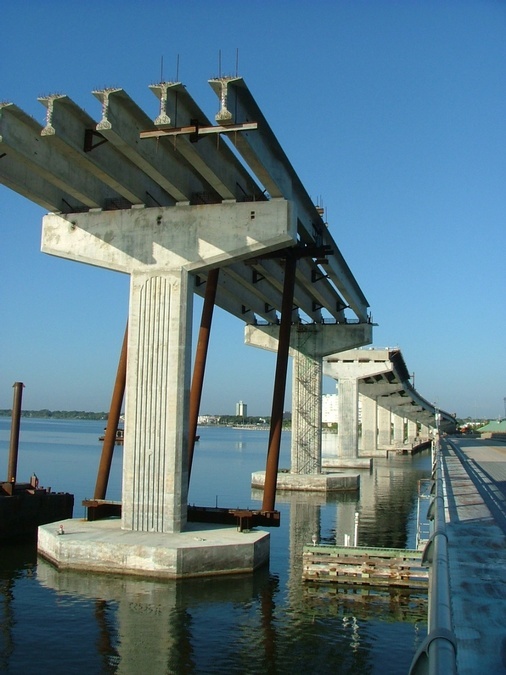 In the Design role, FINLEY developed innovative solutions for a precast, pile supported seal slab and temporary supports for the main span unit girder erection. Both of these designs were developed through collaboration with the Contractor. As a Peer Reviewer, FINLEY provided independent design calculations concurrently with the consultant’s design process. This allowed for a two week review period for all design submissions. FINLEY also provided critical constructability reviews that enhanced the design details on the project.